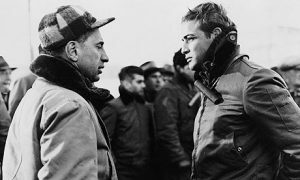 Elia Kazan (here with Marlon Brando) used On the Waterfront to justify his actions as an informer. Program Description: This talk by Rick Winston, author of the recently published Red Scare in the Green Mountains: Vermont in the McCarthy Era 1946-1960, explores the origins of the blacklist in the formation of the Screen Writers’ Guild in 1933, how the blacklist worked, and what led to the its end. Controversial personalities of the time (studio boss Louis B. Mayer, writer Dalton Trumbo, and director Elia Kazan, among others) are discussed and clips from films affected by the fear that consumed Hollywood, including High Noon, On the Waterfront, and Salt of the Earth will be shown. 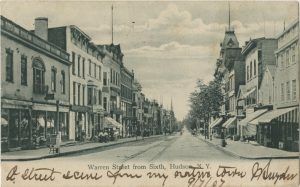 Program Description: Wish You Were Here: A Look Back at Life in Hudson Through Vintage Postcards is the library’s first ever History Room collection exhibit; curated by David Murphy of Hudson, former president of the library’s Board of Trustees and a member of its History Room Committee. The opening includes a presentation on the collection, hosted by Gary Sheffer, a native of Hudson. Wine and cheese reception to follow. Note cards and t-shirts will be available for purchase with an image of an iconic historic Hudson postcard. 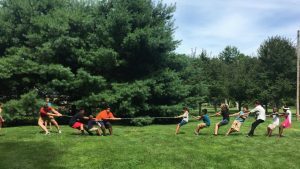 Hudson Area Library Kids in an Historic Tug O’ War! Program Description: All ages and families are welcome to join us for a tour of & activities at the Martin Van Buren National Historic Site. Transportation and lunch will be provided. 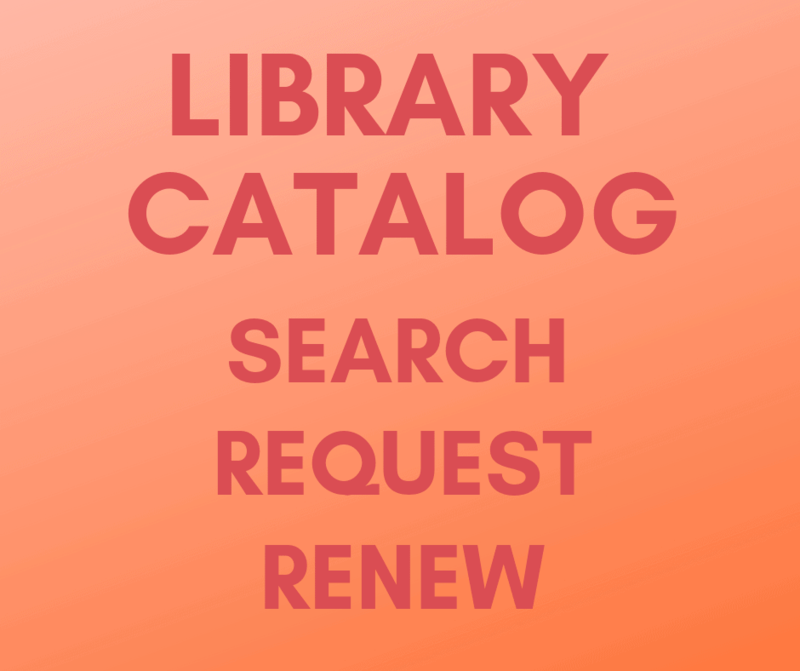 To sign up email programs@hudsonarealibrary.org or call 518-828-1792 x1010. Meet at the library at 11:30am to join us on this annual free family trip. Rain or shine we will be heading out! 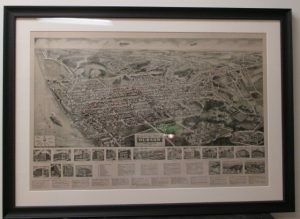 A Holiday Gift Suggestion: A Local History Treasure! Looking for a unique and timeless gift for a special someone this holiday season? 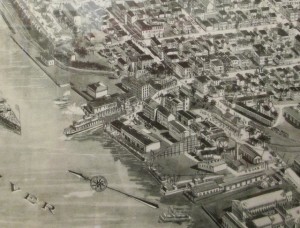 The 1923 original of this dirigible’s-eye view of Hudson is part of the local history collection at the Hudson Area Library. It was meticulously cleaned and re-stored prior to being reproduced using an archival inkjet process. The result is this re-issue available in a museum quality frame with conservation glass ($450) or unframed ($150). It measures 43” x 22”. Framed and unframed prints are available for purchase at The Spotty Dog Books & Ale, 440 Warren Street in Hudson and here at the library. 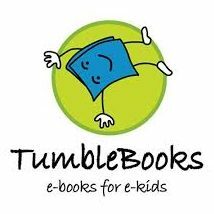 Proceeds from these sales benefit the Hudson Area Library. Thanks to a Humanities NY and Hudson Community Schools’ matching fund grant, the students of Hudson High School’s Writing Center studied primary source documents, photos, and places about the abolition and suffrage movements in our local area and New York State. We created a zine showcasing their creative work based on their study, which you can download as a PDF through the link below. 1958. Wendy Neefus, Jr. outside Neefus Studio on Warren Street. 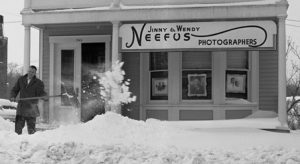 Our History Room Local History Speaker Series event for May will feature Remembering Neefus Photography: Seven Decades of Unseen Images of Hudson by Wendover (Wendy) Neefus, III on Thursday, May 11 at 6pm. 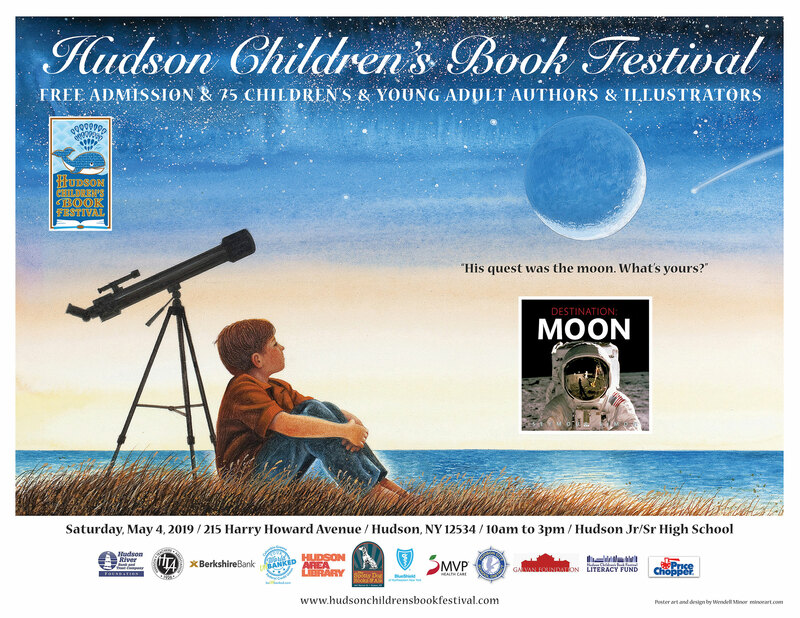 Mr. Neefus will speak about the treasure trove of historic images of Hudson from the over 60 years that Neefus Photographers, once located at 743 Warren Street in Hudson, has been in business. A lot of people remember the photography studio on Warren Street as the place to go for graduation portraits and other life event photo sessions but the family also photographed buildings and life in and around Hudson during the three generations they were in business. Many of the negatives of these photographs were generously donated to our History Room Collection by Mr. Neefus and they have been digitized. Posted in Adults, History Room, Programs	| Tagged history, Hudson, photography, Warren St. 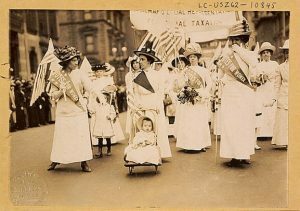 Youngest Parader in NYC Suffragist Parade. Library of Congress: Prints and Photographs Division, Washington, DC. Our library’s History Room, as part of its Local History Speaker Series, is pleased to present “Suffragettes: 100 Years, 10 Stories, from Hudson; We’re Counting” by Nicole Childrose on Thursday, March 23 at 6:00 pm. This event will be an interactive lecture and discussion celebrating northeastern women and their contributions throughout history. 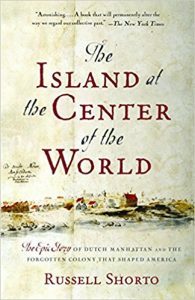 An exploration of 10 case studies of local women with ties to Hudson and the greater Hudson Valley region will allow audience members to have a greater understanding of local women who have made political, economic and social contributions.